Manassas, VA– Dr. Russell D. Moore, President of the Ethics & Religious Liberty Commission (ERLC), is scheduled to speak on Monday, February 24, at the NRB 2014 International Christian Media Convention in Nashville, TN. Since June 2013, Dr. Moore has served as President of the Southern Baptist Ethics & Religious Liberty Commission, the Southern Baptist Convention’s official entity assigned to address social, moral, and ethical concerns. A widely-sought cultural commentator, Dr. Moore speaks frequently to issues of theology, culture, and public policy, having been quoted or published by many of the nation’s leading news agencies and periodicals—including the New York Times, Wall Street Journal, Washington Post, Chicago Tribune, USA Today, and the Associated Press. He blogs frequently at his “Moore to the Point” website, and is the author or editor of five books, including Tempted and Tried: Temptation and the Triumph of Christ, Adopted for Life: The Priority of Adoption for Christian Families and Churches, and The Kingdom of Christ: The New Evangelical Perspective. In addition to his books, Dr. Moore is also the author of dozens of academic articles and essays within the field of systematic theology and Christian ethics. 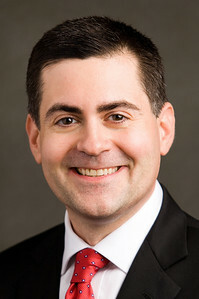 He also serves as Executive Editor of The Southern Baptist Journal of Theology and as Senior Editor of Touchstone: A Journal of Mere Christianity.